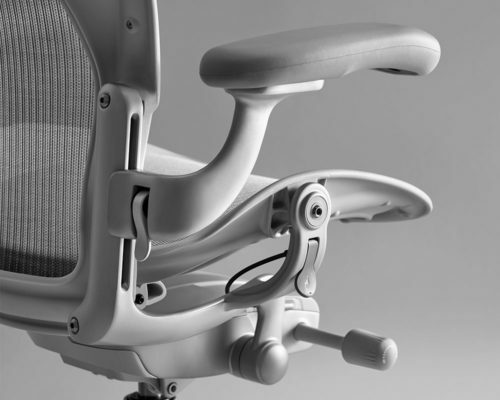 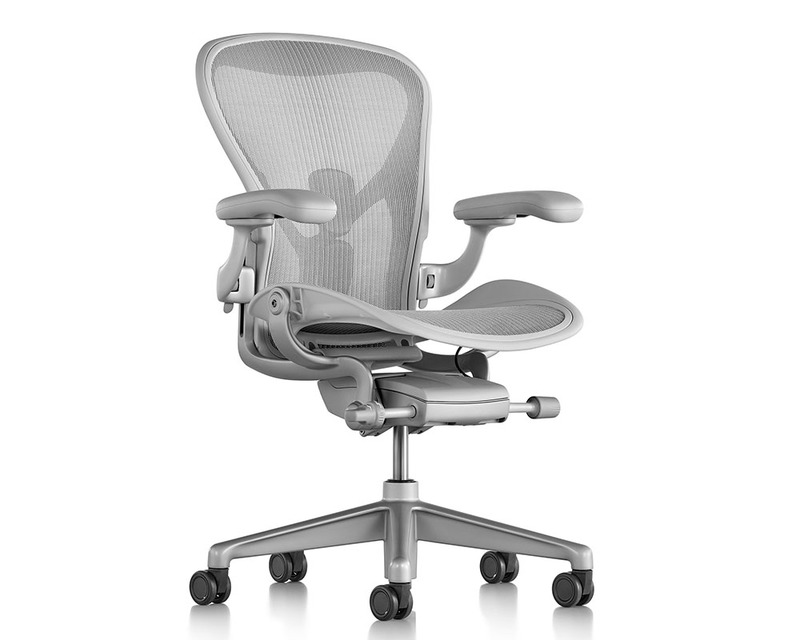 With stronger, smarter materials, better adjustment capabilities, new finish options, and a healthier, more comfortable sit, Herman Miller didn’t recreate or redesign the Aeron Chair – they remastered it. While its iconic form has remained largely unchanged, the Aeron Chair has been remastered from the casters up to meet the needs of today’s work. With the help of original co-designer, Don Chadwick, Herman Miller thoughtfully updated the chair based on the latest research around the science of sitting, and advancements in materials, manufacturing, and technology. 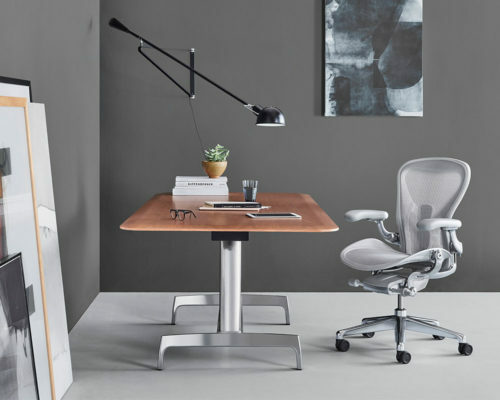 Since Aeron debuted in 1994, Herman Miller have learned a great deal more about how best to support people in the varied postures they adopt throughout the workday. 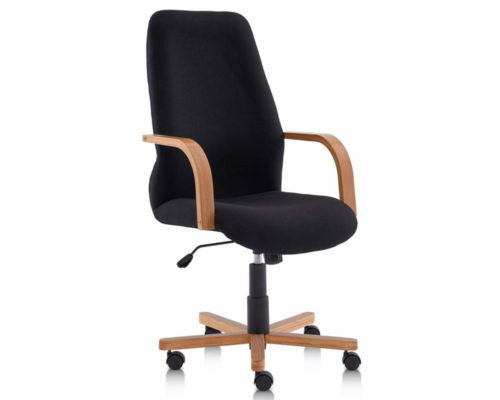 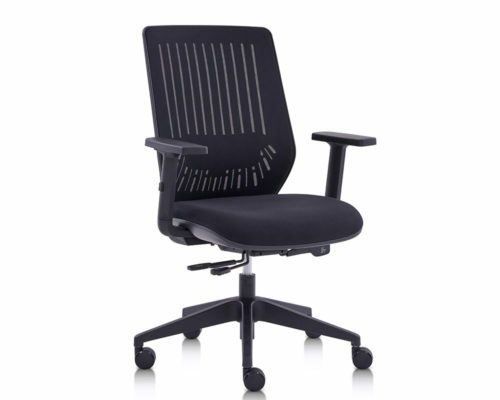 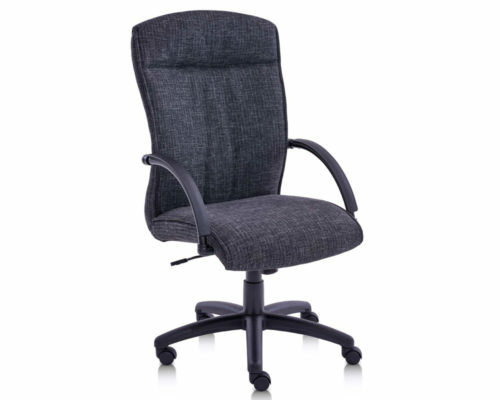 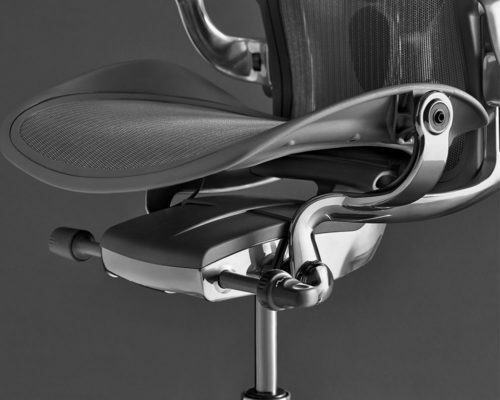 With the new chair, they incorporated two decades worth of technological and ergonomic enhancements to improve the health-positive design, and widen the range of cross-performance capabilities. 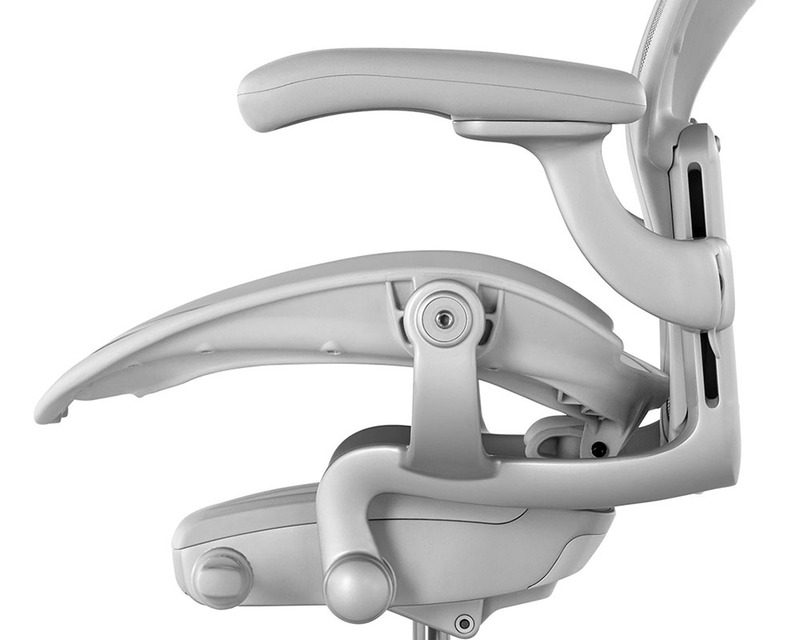 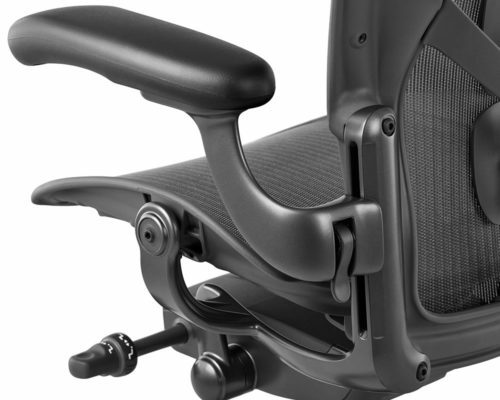 With updates that include a more refined tilt mechanism, adjustable PostureFit SL, and 8Z Pellicle suspension, the new Aeron performs smarter than ever before—so you can too. 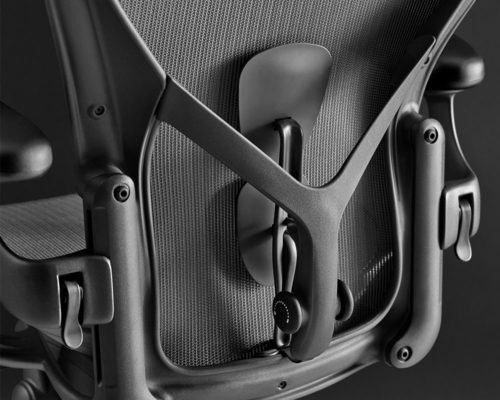 Through hundreds of samples, tests, and iterations, they arrived at three tightly curated, holistic material expressions. 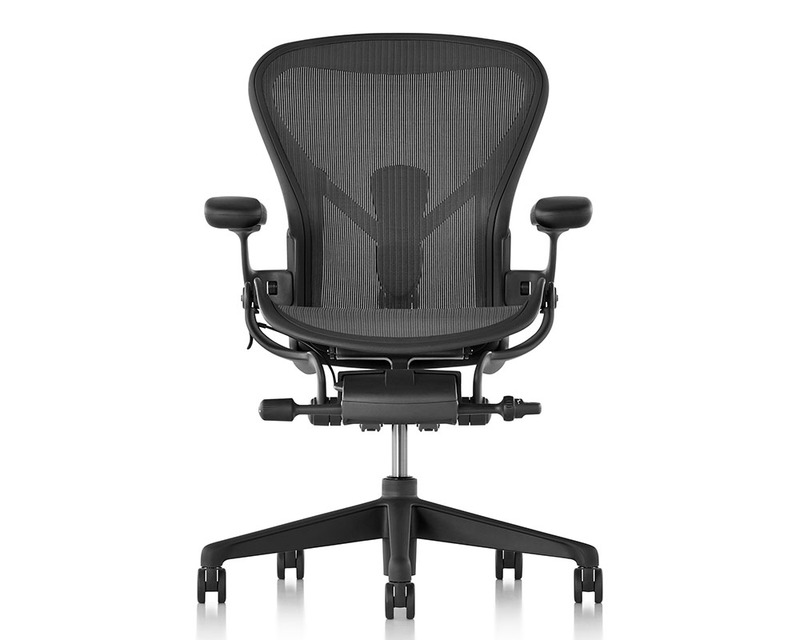 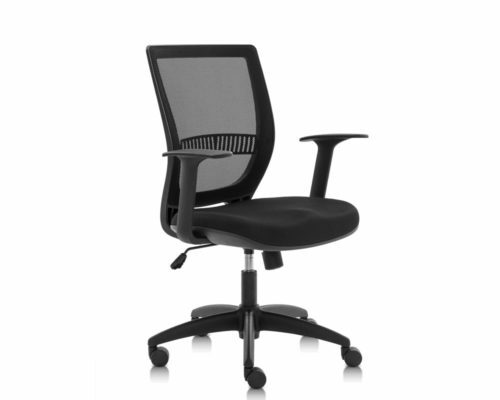 Graphite is the darkest, a modern take on the original Aeron. Carbon offers a balanced neutral that works equally well in warm and cool environments. Mineral is the lightest, ideal for today’s more open office environments.